For many years paint and wallpaper are the best two rivalries when it comes to wall cover. Both of them have their own advantage and downside. Paint it’s much cheaper and easier to apply and remove compared to wallpaper. If you ever had the experience to take down your old wallpaper you’ll know that you need to scrub the entire wall just to remove the pieces of wallpaper and paste that left on your wall, unlike paint you can cover it with the new one or you can use paint remover and then apply a new paint as simple as that. But you can never deny that wallpaper has lot more colorful design and different pattern and texture that will give any room a huge impact that simple paint cannot achieve easily. Wallpaper is the only wall cover that can bring out the emotion and color to any room as well as create a rich pattern and texture that can make everyone amaze. Wallpaper has also a thousand of different pattern and texture available in the market make it easier for you to choose that will go to your home motif. Some might choose to combine both paint and wallpaper into a one room like our client in Taft Avenue, Ermita Manila who opted for Best Wallpaper. 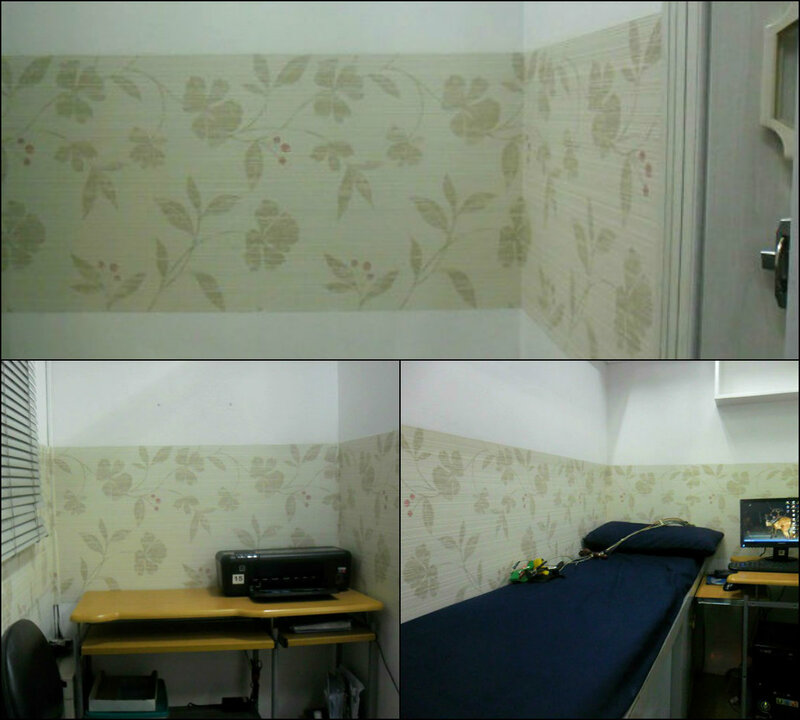 They only installed wallpaper in the middle of the wall while the upper and lower parts were plain white paint. Combining wallpaper and paint is one way to create more diversity in your room. Mixing paint and wallpaper can make your wall more striking; your wallpaper can possibly be the focal point of your wall while the light color paint is the background. DS Windows & Walls offers roll wallpaper with the size 21 inch and 10 meter long making it easier for you to explore on how you can design your wall. For interested client you can visit our showroom at 4th Level Waltermart, Makati City, 3rd Level Robinsons Metro East, Pasig City and 2nd Level Pacific Mall, Lucena City to personally see the design. 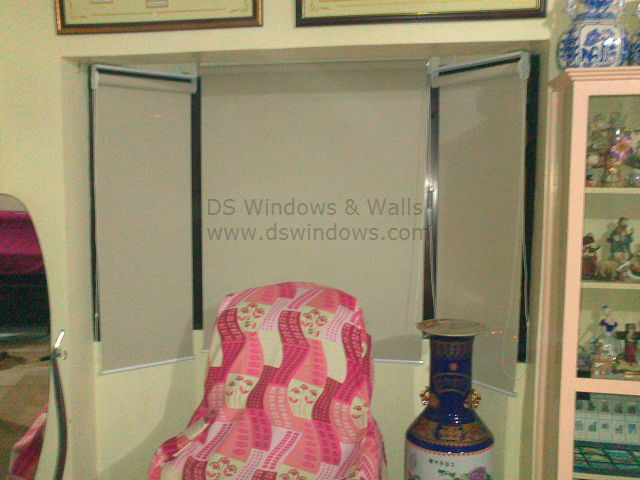 You can also visit our official website http://www.dswindows.com/. 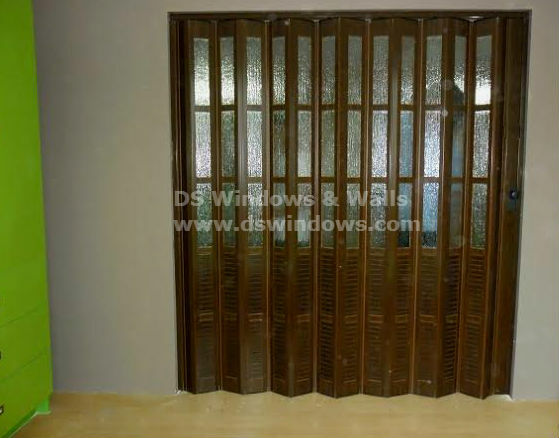 For any inquiries please call us at (02) 893-1373/ (02) 403-3262 / 0916-311-3909 or email us at inquiry@dswindows.com.